Entirely renovated in 2018 and offering a seasonal outdoor swimming pool with a sun deck lined with palm trees, Hôtel Columbus Monte Carlo overlooks the Mediterranean Sea, the Princess Grace Rose garden and the mountains. Each room is air-conditioned, soundproofed and equipped with a flat-screen satellite TV and a private bathroom with a hairdryer and free toiletries. A coffee machine is provided in each room. The suites at the Hotel Columbus are luxuriously decorated. 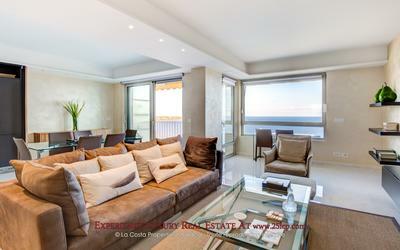 They all feature a separate seating area and certain suites have a balcony or terrace with a sea view. Breakfast is served every morning at the property. The onsite restaurant, Tavolo, specialises in Mediterranean cuisine and offers all day dining. Monaco Palace is 1.5 km from the hotel and the Monaco Train Station is a 10-minute drive away. Private valet parking is available on site and Nice is 29 km from the hotel. The Suite and the Deluxe Room can accommodate an extra bed. For the Deluxe and Classic rooms, please state the type of bedding required at the time of booking. Entirely renovated in 2018 and offering a seasonal outdoor swimming pool with a sun deck lined with palm trees, Hôtel Columbus Monte Carlo overlooks the Mediterranean Sea, the Princess Grace Rose garden and the mountains. Each room is air-conditioned, soundproofed and equipped with a flat-screen satellite TV and a private bathroom with a hairdryer and free toiletries. A coffee machine is provided in each room. The suites at the Hotel Columbus are luxuriously decorated. 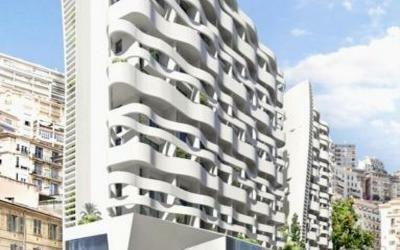 They all feature a separate seating area and certain suites have a balcony or terrace with a sea view. Breakfast is served every morning at the property. The onsite restaurant, Tavolo, specialises in Mediterranean cuisine and offers all day dining. 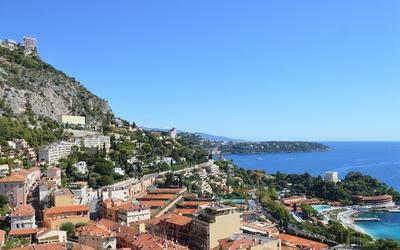 Monaco Palace is 1.5 km from the hotel and the Monaco Train Station is a 10-minute drive away. Private valet parking is available on site and Nice is 29 km from the hotel. Renovated in March 2018, this room features a satellite TV and views of the sea, mountains or garden. Spacious deluxe room with a balcony offers a view of the sea, mountains or garden. This suite features a separate seating area and a balcony with panoramic views. Spacious and air-conditioned suite with a view of the sea. A flat-screen TV with satellite channels and CD player are also featured. This twin/double room features air conditioning, CD player and bathrobe. This family room features a satellite TV, tile/marble floor and minibar. 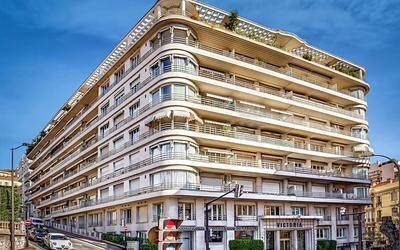 To reach the hotel Columbus Monte-Carlo, you must look for the district of Fontvieille and Monaco heliport. From the highway : gate Roquebrune Monaco coming from Italy or gate Monaco coming from Nice. In both cases take the direction of Monaco Fontvieille. From port Hercule, take the tunnel under the Rocher then Stade Louis II in direction of the heliport of Monaco then follow indications. If you arrive in Monaco by helicopter from Nice you can benefit of a free shuttle, take a taxi or book a limousine.